I have taken paneer sandwich pictures lot of times so far and each time it didn't made it up to posting until this time :) I am making paneer sandwich quite frequently these days so it manage to get feature here and now that Ramadan is going on this is very good and filling recipe for Suhoor or for Iftar, we can try for either and this can be fond in jiffy makes it more appealing. 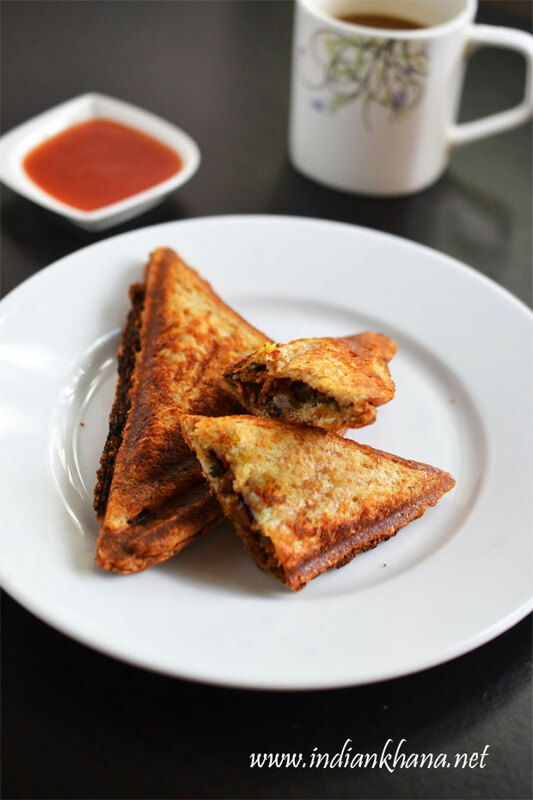 I do add sliced onion, tomato, cucumber some times along with paneer stuffing and grill the sandwich and some times I don't, in this recipe I didn't added tomato, onion while grilling but you can do this any way you like. Also You can add any other finely chop or grated vegetables along with paneer to make it more filling or add cheese for kids and they will love it for sure. You can check other Paneer Recipes here. 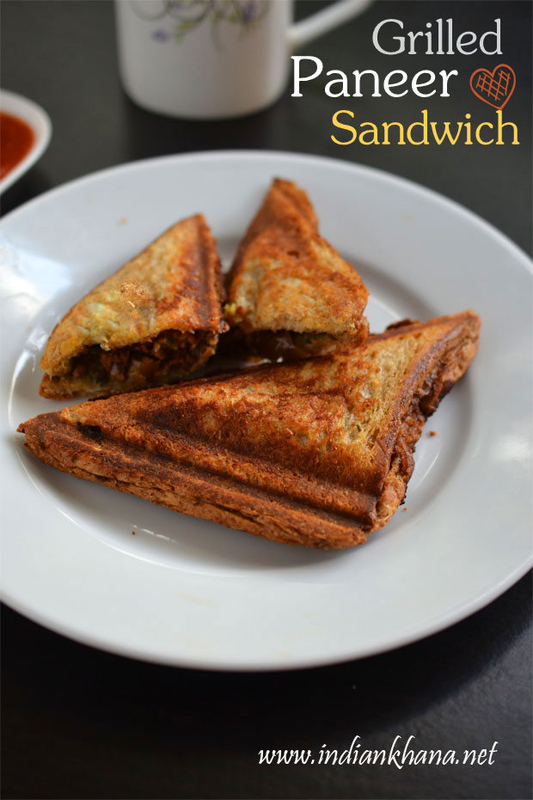 Griled Sandwich with spiced paneer (cottage cheese) filling. Spread paneer mixture on top of green chutney applied bread and close with another bread slice, butter applied side should face up. 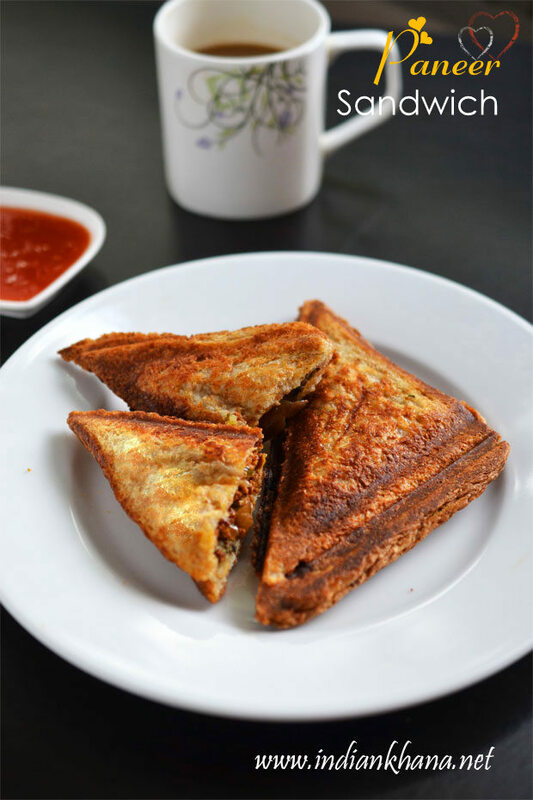 Heat griller or sandwich maker place sandwich carefully with butter applied slice facing sandwich maker and cook for 3-4 mins or until nice golden brown. 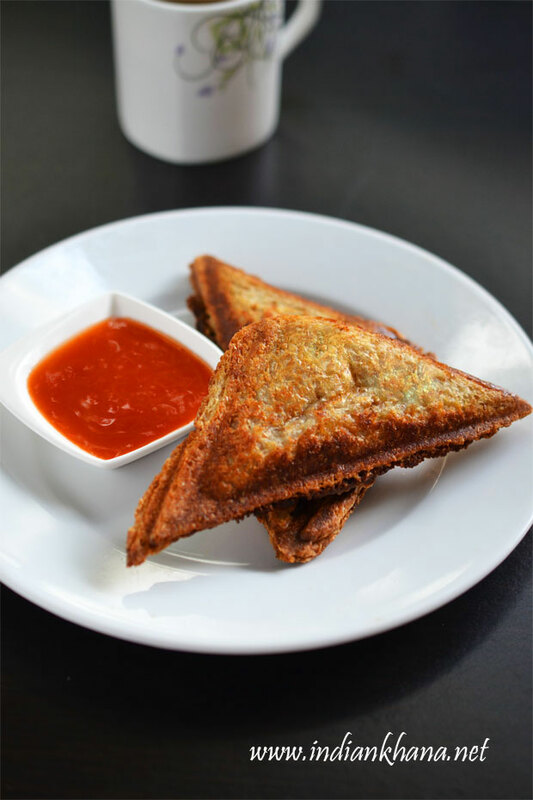 Serve hot or warm with green chutney, sauce or ketchup or just like that. You can skip butter and green chutney. You can add grated carrot, capsicum etc with paneer for more filling stuffing. If you don't have sandwich makes or griller, press gently sandwich to seal and toast on hot tava, add butter or oil as needed to get nice brown color. For kids, you can also add little of grated cheese in stuffing. 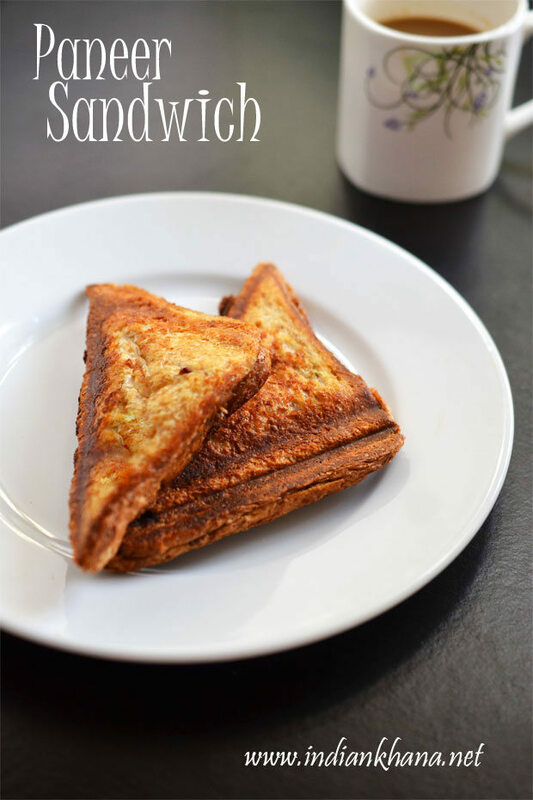 Delicious, quick and easy Paneer Sandwich.